Nuku Photo Festival Ghana is the country’s first festival for photographic encounters, exchanges and storytelling. Organised by Nuku Studio, the festival started yesterday and it will end on Friday, September 21. It is being held across various venues in Accra, Tamale, Wa and Kumasi. The festival will bring together both local and international photographers and visual artists as it is created to offer a space for artistic explorations and exchanges. The participating artists – both established ones and young talents – have a unique opportunity to share their work with an international audience and their peers. “Nuku Studio is a space, an institution, a community that provides an innovative and productive support system for sustainable artistic and professional photographic practice. 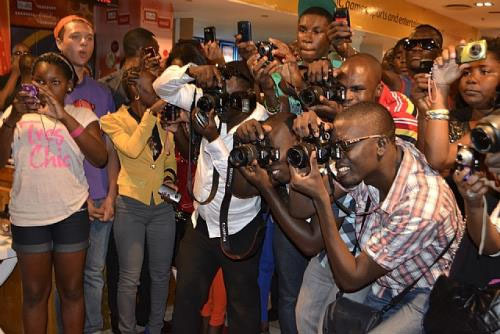 We feel it is time to connect the photography scene in Ghana and abroad via a photo festival. The festival is in line with Nuku Studio’s vision to create and grow a self-sustained photography community and network, and offer a safe space for photographers and visual artists to meet, experiment and exchange to inspire and be inspired, to challenge and be challenged,” Nii Obodai, founder of Nuku Studio & director of Nuku Photo Festival, disclosed. Furthermore, the organisers are inviting audience to experience the power of storytelling and the power of photography as a means to document and stimulate societal change and discover visual stories from Ghana, Africa and beyond. Key partners of the festival are World Press Photo Foundation, Nubuke Foundation, Institut Français, Fondation Clément, Alliance Française Accra, Gallery 1957and Noorderlicht (House of Photography in The Netherlands). The festival includes a variety of events like exhibitions, art talks, conferences, portfolio reviews, artist-in-residency, community events and more. Exhibitions include works by Ghanaian photographers, an exhibition showcasing a photography project on northern Ghana produced by Noorderlicht and Nuku Studio in Tamale, an exhibition on the African photojournalism database (by World Press Photo) and an exhibition by James Barnor at Gallery 1957 in Accra. Nzulezu Waits For You- Explore!